Humpback whale lunge feeding on Antarctic krill, with mouth open and baleen visible. The humbpack's throat grooves are seen as its pleated throat becomes fully distended as the whale fills its mouth with krill and water. 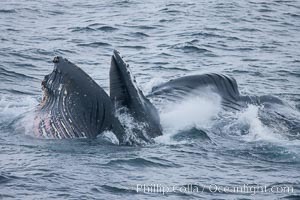 The water will be pushed out, while the baleen strains and retains the small krill. Gerlache Strait Photo. Humpback whale lunge feeding on Antarctic krill, with mouth open and baleen visible. 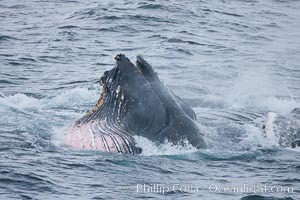 The humbpack's pink throat grooves are seen as its pleated throat becomes fully distended as the whale fills its mouth with krill and water. The water will be pushed out, while the baleen strains and retains the small krill. Gerlache Strait Picture. Scenery in Gerlache Strai. 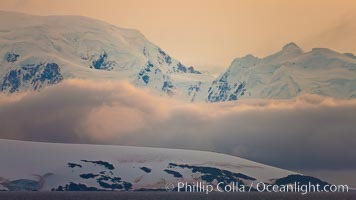 Clouds, mountains, snow, and ocean, at sunset in the Gerlache Strait, Antarctica. Stock Photography of Gerlache Strait. Humpback whale lunge feeding on Antarctic krill, with mouth open and baleen visible. 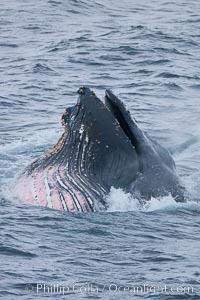 The humbpack's pink throat grooves are seen as its pleated throat becomes fully distended as the whale fills its mouth with krill and water. The water will be pushed out, while the baleen strains and retains the small krill. Photograph of Gerlache Strait. Scenery in Gerlache Strai. 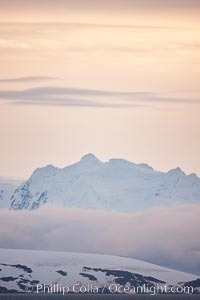 Clouds, mountains, snow, and ocean, at sunset in the Gerlache Strait, Antarctica. 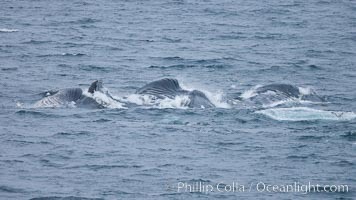 Gerlache Strait Photos. Humpback whale lunge feeding on Antarctic krill, with mouth open and baleen visible. The humbpack's pink throat grooves are seen as its pleated throat becomes fully distended as the whale fills its mouth with krill and water. 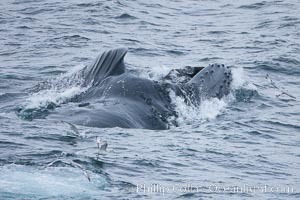 The water will be pushed out, while the baleen strains and retains the small krill. Gerlache Strait Image. Humpback whale lunge feeding on Antarctic krill, with mouth open and baleen visible. 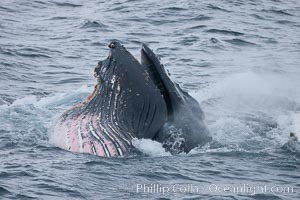 The humbpack's pink throat grooves are seen as its pleated throat becomes fully distended as the whale fills its mouth with krill and water. 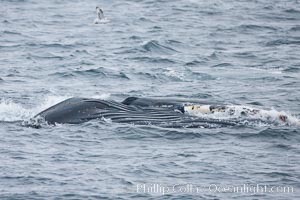 The water will be pushed out, while the baleen strains and retains the small krill. Professional stock photos of Gerlache Strait. 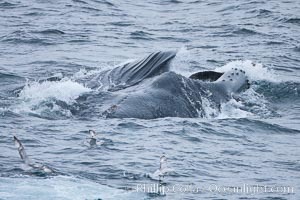 Humpback whale lunge feeding on Antarctic krill, with mouth open and baleen visible. 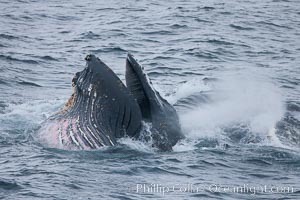 The humbpack's pink throat grooves are seen as its pleated throat becomes fully distended as the whale fills its mouth with krill and water. The water will be pushed out, while the baleen strains and retains the small krill. Pictures of Gerlache Strait. 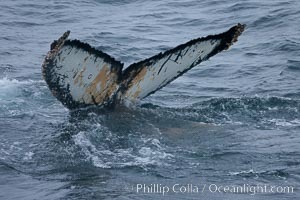 Humpback whale, raising its fluke before it dives. 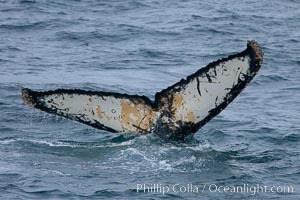 The distinctive patterns on the underside of the whales fluke allow it to be identified by researchers.11 Gerlache Strait Photo. 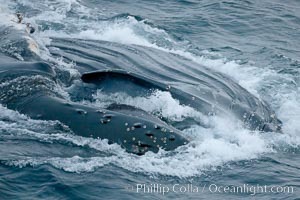 Humpback whales lunge feed on Antarctic krill, engulfing huge mouthfuls of the tiny crustacean. Gerlache Strait Picture. Humpback whale, raising its fluke before it dives. The distinctive patterns on the underside of the whales fluke allow it to be identified by researchers.11 Stock Photography of Gerlache Strait. Humpback whales lunge feed on Antarctic krill, engulfing huge mouthfuls of the tiny crustacean. Photograph of Gerlache Strait. Humpback whales lunge feed on Antarctic krill, engulfing huge mouthfuls of the tiny crustacean. 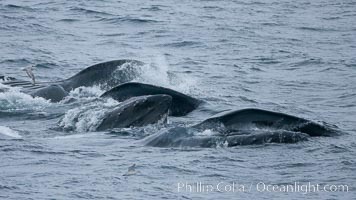 Gerlache Strait Photos. Humpback whales lunge feed on Antarctic krill, engulfing huge mouthfuls of the tiny crustacean. Gerlache Strait Image. Humpback whale in Antarctica. Professional stock photos of Gerlache Strait.